TBILISI, DFWatch–A poll published on Monday shows the ruling Georgian Dream coalition back in the lead, and a surge in voters’ apathy slightly abating. The latest National Democratic Institute (NDI) poll, carried out in late November, early December, shows that if there were held parliamentary elections tomorrow, 16 percent of Georgians would vote for Georgian Dream, while 10 percent would vote for the former ruling National Movement party, led by ex-President Saakashvili. This is a slight increase for the government coalition compared to the previous survey, when the coalition was down to 11 percent, behind the UNM, which scored 13 percent. But despite the apparent bottoming out of a drop in support for the government since last spring, spokespersons for the coalition rejected the poll as unreliable and said it was a shame for NDI. 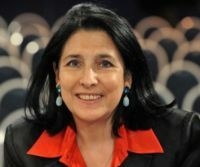 Gia Volsky from the parliamentary majority said that NDI, like other research organizations, is acting shamefully, as their polls aren’t precise. He said he doesn’t plan to assess the NDI poll and added that the real picture soon will become clear, referring to the parliamentary election next year. The poll shows the party of former Defense Minister Irakli Alasania in third place with 7 percent. The Free Democrats withdrew from the governing coalition in the late 2014 after Alasania’s dismissal in a complicated dispute involving corruption allegations against his ministry staff which he linked to an arms procurement deal. 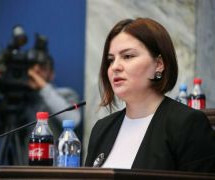 Among the smaller parties, 3 percent would vote for Nino Burjanadze’s party, Democratic Movement – United Georgia, 3 percent for the Labor Party and 3 percent for Alliance of Patriots, which is headed by Irma Inashvili. There is still a large proportion of prospective voters who are undecided or turned away from politics. 35 percent said they don’t know who they would vote for, and 15 percent didn’t want to answer. But still, 64 percent of the questioned said they would vote. Justice Minister Thea Tsulukiani didn’t want to comment beyond saying that ‘NDI isn’t a topic’ for her, but instead she will focus on a report by the prime minister about what the government has done during its three years in power. 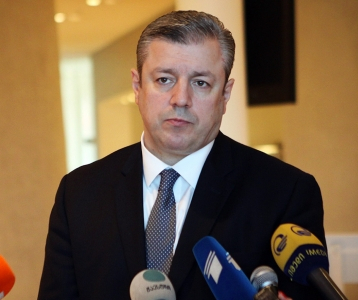 Health Minister Davit Sergeenko questioned the methodology behind the poll, which he described as ‘vague’, and expressed suspicion about NDI’s goals. The opposition has different view. 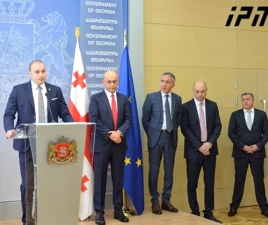 UNM member Akaki Minashvili thinks it reflects the reality in Georgia. “The situation is getting worse,” he said, adding that life is getting tougher for people and against the background of poverty, GD has no plan. Viktor Dolidze from the Free Democrats also thinks the NDI poll results are logical. He said the party is carefully following all the polls and using them in its strategy. “If you are in politics and you claim to have a political party, it is obvious that you should be interested in every poll as you build a future and draw conclusions about political activity,” he told journalists. NDI asked respondents which party would win. 33 percent said it would be the GD coalition, 9 percent answered UNM, and 5 percent the Free Democrats. Another question asked was which party the respondent would never vote for. 21 percent named UNM, 16 percent the GD coalition, while 25 percent answered that they don’t know. 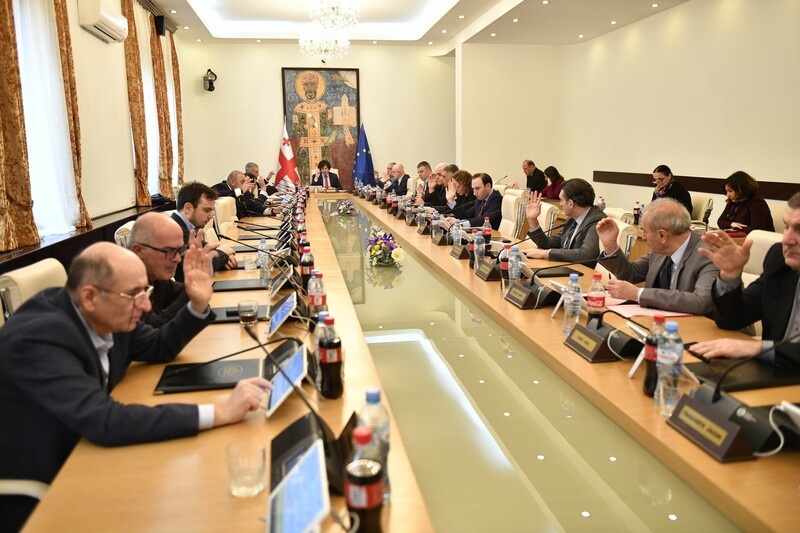 30 percent said that none of the parties is closest to them, 18 percent named the GD coalition, 14 percent UNM, 9 percent the Free Democrats, 5 percent Burjanadze’s United Democratic Movement, 5 percent the Labor Party, and 4 percent Alliance of Patriots. The poll was conducted from November 17 to December 6 and 1,881 people were questioned. The margin of error is 1.8 percent. It was carried out by Caucasus Research Resource Centers with support from Swedish International Development Cooperation Agency, SIDA.